This is just a couple of shelves of our trophy cabinet. It would be a very long page if we showed you all our achievements going back ten plus years. Well if you can’t boast on your own website…Of course it’s not just the industry who acknowledge HBXL’s software and support - it’s our users too! Check out our customer testimonials here. 2019 Corporate Livewire Innovation & Excellence Awards: During the awards process Corporate Livewire invited over 100,000 corporate professionals, the general public and subscriber base to nominate associations, companies & individuals based on their achievements over the previous 12 months and HBXL is delighted to have won Best Construction Software Provider 2019. Information was submitted to Corporate Livewire and their independent judging panel decided upon the most deserving teams, companies and individuals to walk away with one of these prestigious accolades. Thanks Corporate Livewire for recognising our efforts! 2019 National Technology Awards: This category awards the company making greatest strides forward in this rapidly emerging industry. Judges want to see regulatory technology (RegTech) solutions that solve genuine compliance problems for companies of varying sizes and across different industries. That’ll be our Health & Safety Xpert software then! 2019 National Technology Awards: The National Technology Awards, organised by National Technology News, celebrate the pioneers of technology across a variety of different sectors, from regulatory technology to manufacturing, gaming to security. Past winners have been Plessey Semiconductors and MISYS Manufacturing Software. The HBXL Group was very pleased to reach the final stages. The judges learnt about the HBXL team identifying, developing and harnessing latest technology to improve and innovate working processes in the building industry. And HBXL’s vision to engage and transform the domestic construction industry through technological innovation. And despite the challenges for firms engaging with IT HBXL’s unique market-leading suite of software and dedicated technical support team, has seen thousands of small builders and developers embrace the time and cost saving benefits of IT, leading them to win more work, professionalise their business and increase profitability. 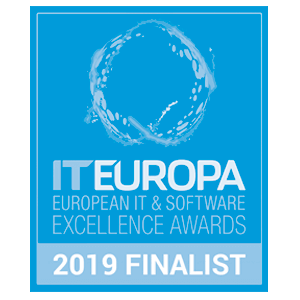 2019 European IT & Software Excellence Awards: Now in its 11th year, these awards are given for IT solutions that get to the heart of customer issues, delivering better business, a clearer understanding of data, and more efficient and profitable outcomes. The judges, with many decades of experience of IT industry involvement between them, arrived at a list of finalists that they believe truly reflected both the strength of Europe's IT industry and many of the changes in direction occurring within it. 2018 ACQ5 Global Awards UK: It’s not just the software winning accolades - our support team has achieved great things too! We were delighted to win this award for the second year running, an award which celebrates the professionalism, experience, value for money and responsiveness of the HBXL team as the best niche technology supplier to construction! 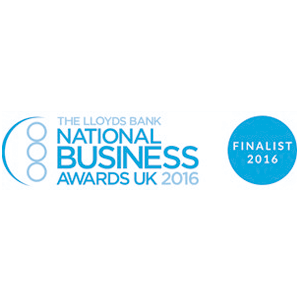 2017 NatWest Great British Entrepreneur Awards: To be shortlisted for the Family Business Entrepreneur of the Year category in the NatWest awards was particularly gratifying for the team. We beat off some tough competition in order to make the regional shortlist, with over 1000 businesses entering the awards nationally across the wide range of categories. The award acknowledges the hard work and inspiring stories of British entrepreneurs and businesses in Great Britain including HBXL! 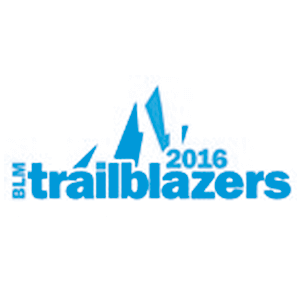 2016 Business Leader Magazine: Our very own Adrian Wild was selected from over 100 nominations to be heralded as one of 40 Trailblazers in the South West! He’s joined a prestigious group of people recognised for being a pioneering, innovative, disruptor and outstanding leader by Business Leader Magazine.